Rapid Software Testing Applied - Satisfice, Inc. Rapid Software Testing Applied (RSTA), available in classroom or online format, focuses on Rapid Software Testing in practice. Instead of explaining every part of the methodology to you, we focus on a particular product. We survey it, analyze it, perform tests and report bugs. The instructor reviews the work with a practical eye and provides coaching throughout the experience. Testers practice notetaking, product analysis, risk analysis, bug reporting and test reporting. This is a three-day class. We can also do it as a two-day follow-on to Rapid Software Testing Explored. In the three-day classroom version of RSTA a minimum of six hours are dedicated to hands-on test sessions. This class helps you gain confidence that you can handle the complexity and ambiguity of real-life projects. This confidence comes ultimately from encountering a product and doing testing, while seeing what fellow students do. It is a good follow-on to Rapid Software Testing Explored, but the two classes may be taken in any order. A second goal of this class is to help you recognize, by your own experiences, when testing should be a matter of deep investigation, rather than mere repetitious fact checking and shallow demonstration. If you are new to testing, then come experience it for the first time in a supervised, friendly environment. We teach in plain English. You will not be overwhelmed by unfamiliar vocabulary. If you are an experienced tester, the hands-on testing will challenge you to show off your skills and help you refine them. You will appreciate that RST is a practitioner-centered methodology– you are in control. If you are a technical tester, you can apply your coding and other technical skills to testing the product at hand. If you are a developer who does some testing, you will learn how your deep knowledge of product internals may help you or hinder you. You will also benefit from seeing how less technical people approach the same testing situations and find different bugs. If you are a domain expert involved in user acceptance testing, this class will help you experience testing as an investigation process that puts your deep knowledge to work. If you work with people who test, you will gain an appreciation for the challenges of testing and discover what real testing looks like. This class is also offered in an online form, broadcasting live from the Pacific Time Zone on Orcas Island, Washington. For the online version of the class, we use a MatterMost chatroom server for communication, a TikiWiki server to share classwork, and GoToWebinar for the presentations. The online version consists of ten webinars and four work assignments. All student work, videos, and class materials are provided to students when the class is complete. This class is not a passive lecture experience. There is a lecture in the morning and afternoon, during which you will interact with James and peer advisors in the chatroom. Each day there is a 90 minute homework assignment which is integral to the class experience, followed by an hour-long webinar where James reviews selected student work and bug reports. We strive to make this an interactive experience. If you are in a different time zone, that’s okay! We will broadcast three webinars per day which will be recorded. If you don’t see them live (approximately 9am, 1230pm, and 230pm PST), you can watch them later. The briefings will be 60-90 minutes long. We will also be available via MatterMost, to some degree, outside of those times. However, you don’t have to watch them at all. The status of the project will continuously be updated in RST Project Server, to which you will have access. The instructor is available, as well as the online moderator, to answer questions you have during the course. No matter what time zone you are in, this event will be a true testing experience! We will be testing a real product. If you want to practice testing using tools, we encourage you to familiarize yourself with any tools you wish to use prior to the event. Although it is helpful to have taken the RST Explored class, it is not required. However, you may find it useful to review some of the materials in the Downloads section of the Satisfice web site. You need to know how to write a bug report. So maybe read the Rapid Testing Guide to Making Good Bug Reports. You should be comfortable with computers, of course. You need to be able to write reasonably well in English. Rapid Software Testing Explored (RSTE) presents the methodology of Rapid Software Testing with brief practical exercises and Socratic discussion. RSTE is less focused on the work products of testing, compared to RSTA. Although the two classes can be taken in any order, people generally start with RSTE. Rapid Software Testing Managed (RSTM) is a class for managers and other leaders who seek to apply Rapid Software Testing methodology or are otherwise working to improve testing on an organizational level. It focuses on the deployment of RST. RSTA goes well with RSTM because it helps give a foundational understanding of the practical problems of actually doing testing. Rapid Software Testing Coached (RSTC) is a class for test leads, coaches, and managers who guide testing without necessarily doing it themselves. 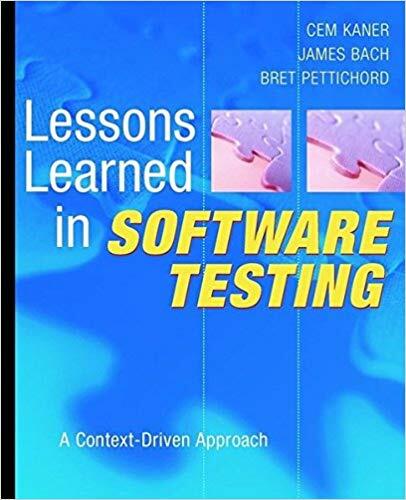 It focuses on how to build testing skills on the job. RSTA is taught more in a coaching style than RSTE is, so it’s a particularly good companion class to RSTC. Bring a computer that connects to the Internet. You will be testing software. You can check the schedule to see if there is an upcoming public class. Or you can email me at james@satisfice.com to inquire. See also my page about how to engage our services.